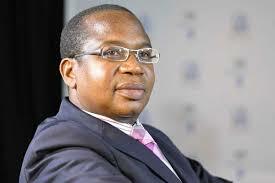 Former Finance minister Tendai Biti has called on Parliament to rein in new Treasury chief Mthuli Ncube for not prioritising debate on the 2019 Budget instead prioritising foreign travel. Describing the action as “disrespect,” Biti, who is also the opposition MDC deputy national chairperson, hit out at Ncube at the start of Thursday’s debates in the National Assembly which focused on the 2019 National Budget. The Harare East MDC MP said the minister should have at least sent in representatives to take notes on his behalf if he was not contemptuous of Parliament. “I am concerned that the minister of Finance and Economic Development has taken leave off the country during the week that Parliament is debating the country’s most important fiscal instrument — the budget,” Biti — who was given the floor on a point of privilege — complained. Acting National Assembly Speaker William Mutomba explained that Ncube sought leave of the House and had sent in his apologies. He said Ncube was away in the US on government business. Mutomba said Parliament had noted Biti’s concerns and also explained that Ncube had indeed sent in representatives from the ministry. “We have taken note of your point of order but could I just shed light on some of the MPs who are not aware that the minister actually is in New York at the moment and he has sent his apologies but, we do have in the House officers from the ministry of Finance and Economic Development who are taking notes,” Mutomba said. After being called out, Mutomba suggested that the officials had been delayed by the rains that pounded the capital city that afternoon and claimed they were on their way. “It is just my hope that they have been delayed because of this rainfall. I believe that they are coming but, the position is that everything is being recorded in the Hansard but I will keep note of your concern,” Mutomba assured Biti. Biti had also accused Cabinet ministers of disrespecting MPs by not turning up for parliamentary business. when the budget is being debated.